Today marks the official release of August is the Cruellest, their eighth studio album (ninth if you include their stunning remix album Behind These Eyes: The Catacombs Remixes) and it shines brightest as their most urgent and comprehensive release to date. With such an album, the band has seen fit to dedicate two nights to mark the album's launch in March. 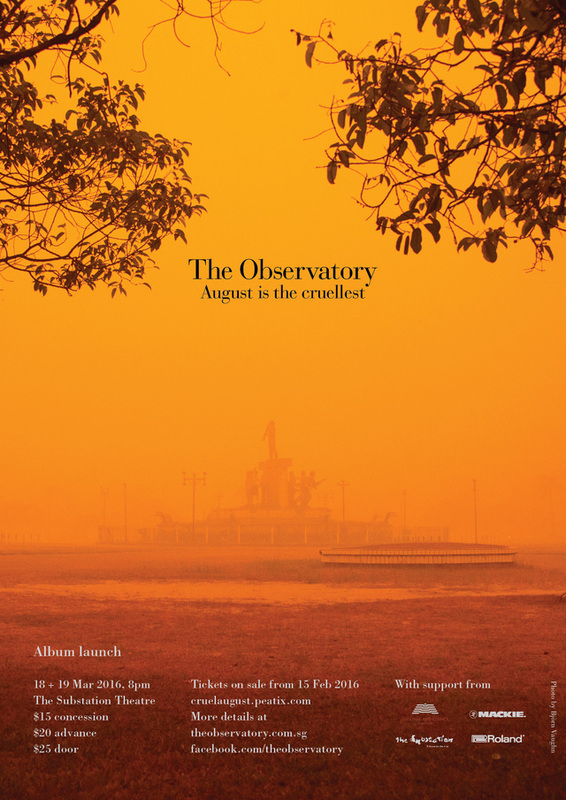 Happening on March 18th and 19th, The Observatory will launch August is the Cruellest at The Substation. Describing the album as "an abstraction of the blues in the mode of C, influenced by the power of the riff and the energy of heavy rock", August is the Cruellest has officially been released digitally, along with physical copies on CD, vinyl and cassette. Limited copies will be available at both shows. Tickets are available on Peatix.